A total of 485 singles set a new speed-dating world record when they turned up at a dinner and dance at the Marina Bay Sands Saturday night. 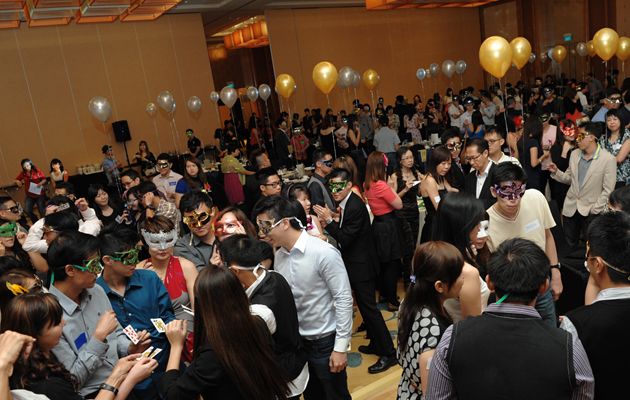 Organised by the marriage-promoting Social Development Network (SDN), the Masquerade Ball broke the world record for having the most number of singles participating in a speed-dating activity in one place. It was supposed to officially break the Guinness World Record but as the official from Guinness could not make it simply stands as a world record. The previous record stood at 435 singles and was set by a private organization in South Africa on Valentine’s Day 2011. 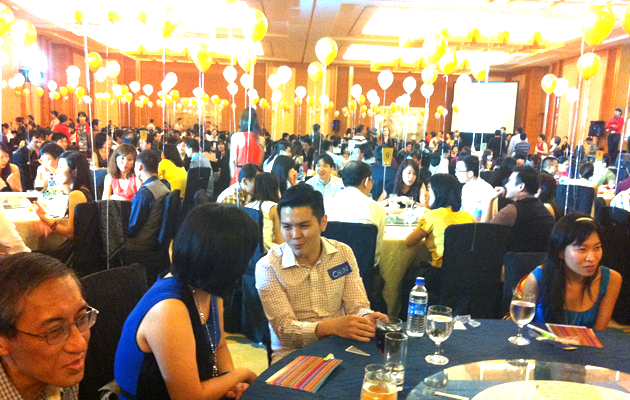 After the dinner, the speed-dating activity began and participants would take a minute or two to quickly chat up the person next to them before moving on to the next. 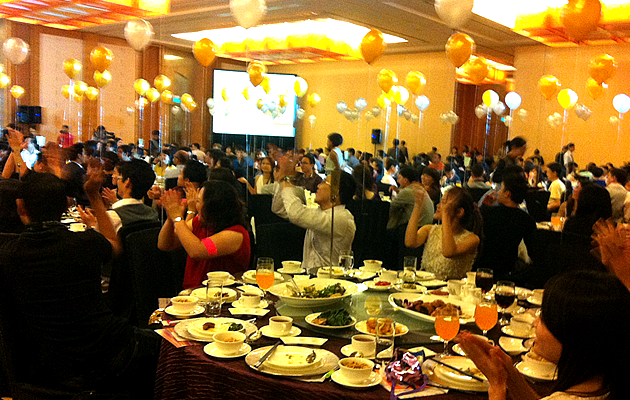 The ballroom came alive with people gesturing, showing each other pictures on their phones and exchanging name cards. When the bell sounded, the momentary chaos would start again as the men shifted their places to talk to the next woman in line. “They are very spontaneous, friendly and very easy going, it’s very nice to meet new friends”, said another participant, 26-year-old Alvin, who is from the air force. But in the end the event achieved its aim of getting singles to mingle. “I made a lot of friends still,” said Tey. 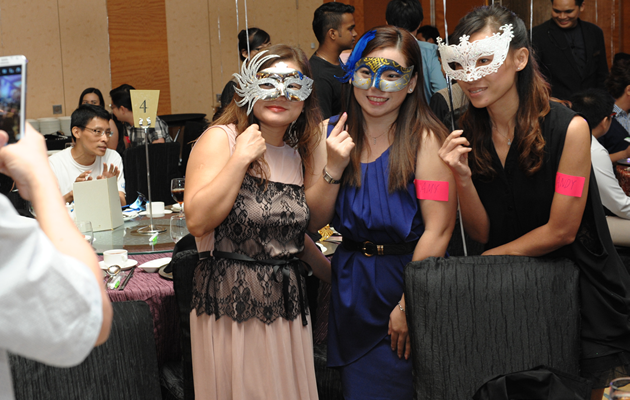 The ball in Marina Bay Sands Saturday capped the end to five weeks of festivities by the government-backed SND to encourage singles to socialise. The dating fest saw over 1,000 singles signing up for various activities. Prior to this, Singapore held a record for 60 singles speed dating in cable cars in 2009 and 52 singles speed dating on the MRT in 2008.
can i just go for the food?